As I was hanging off the edge of the Hilton in College Station, it struck me as weird that I was not afraid of the 110 feet between me and the ground. What I did fear was humiliation. I looked down and saw colleagues and students cheering me on as they live streamed my descent. My greatest fear was not death, heights, or injury. My greatest fear was doing something embarrassing like getting stranded halfway down, slipping too fast, or going too slow as my entire school watched and judged. Is that strange? If it is, then it is not the first time I have acted strange in this way. This was a much harder thing for me to give up. Then I realized that this was my cross. We all have one, and they differ depending on the person. I do not mind putting my life on the line, but putting my reputation on the line conjures up some serious fear and anxiety. It is my reputation then that I must be willing to give up on a daily basis for the sake of Christ. If I choose to preserve my reputation instead of following Christ, then my reputation becomes my god. What a fickle god that would be! God does not ask all of us to stand in front of a crowd, be beaten and spit upon, and then be executed in a painful and drawn out fashion. He sent his son to do that for us. Instead, he asks each of us to give up that cherished and prized aspect of our lives that we hold so dear in order to spread his love and Gospel to the lost and broken-hearted. What is your cross? 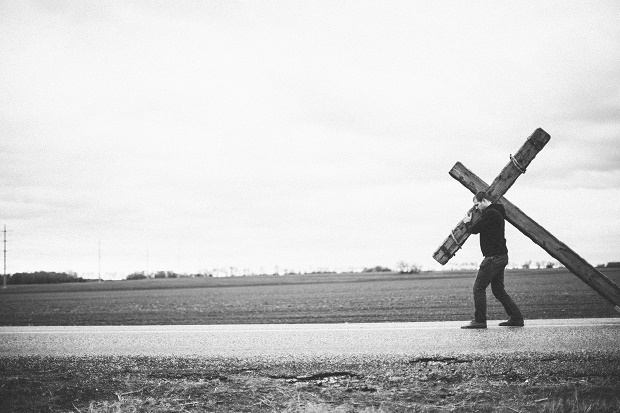 Join me in picking it up daily, denying ourselves, and carrying our cross for the one who gave it all for us.